Relive the events of June 6, 1944 through eye witness accounts that describe 20 real-life stories from the D-Day landings. 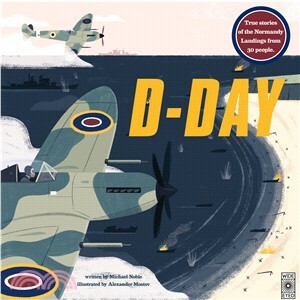 This book – which presents collated photographs, personal accounts and testimonies from all sides with full-page illustrations dramatizing individual roles – brings a key moment in history to life for young readers hearing about the event for the first time, as we commemorate its 75th anniversary. From those involved in reconnaissance, planning and logistics, espionage and development of new technology, through to the military units involved in the invasion and landings, and the subsequent phases of the invasion, this authentic retelling provides a view from every angle of the action.